Our packaged de-icing products are sold by the bag in pallet or semi load quantities. Mix and match products to fill a semi for a total of 18 pallets. 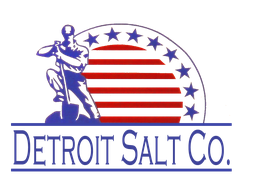 Rock salt is a highly efficient and cost effective product for melting ice and snow. Smaller crystals melt on contact, while larger crystals provide longevity and instant traction. Creates the desired reaction to initiate quick de-icing and meltdown. Will not harm carpets and floors. Will not damage leather or footwear. This winter, when you are faced with the tough job of selecting an effective ice melter, you need a product that will perform even under the most severe conditions. Dvorak’s recommends Mega Melt®ProSlicer®. Mega Melt® ProSlicer®performs to specifications almost immediately. When applied to a snow-covered surface, ProSlicer® quickly begins to dissolve and penetrate snow pack and ice. The bond between the ice and pavement is then broken, which allows loosened ice and snow to be easily removed. Because of the advanced formulation, ProSlicer® will maintain a residual which can prevent ice and snow from bonding to the surface. This product is designed for general use on roadways, sidewalks, entry ways, and parking areas.